Please join us for a flyfishing school. On Sunday, April 13, a Backwater Angler Guide will be teaching a fly fishing school that is ideal for beginners. If you’re planning on flyfishing Maryland, or anywhere else for that matter, this course is a great introduction to the sport. The school covers knots, casting, gear and fly selection. Class is held from 11:00 AM till 2:00 PM. Cost is $100 per person and includes the use of gear. Class size is limited to 4 and pre-registration is required. Please give us a call at 410-329-6821 or drop us a line at info@backwaterangler.com to pre-register. This entry was posted in events on February 29, 2008 by Theaux Le Gardeur. Flyfishing Maryland? Please join us for a Beginners Fly Tying Class on Sunday, March 30, 2008 from 11:00 AM till 2:00PM. It’s an introductory fly tying class that focuses on Gunpowder river fly patterns. One of our Maryland river guides will be teaching this fun-filled beginners class. Cost of the class is $45 per person, and includes the use of tools and materials. The class is limited to six and pre-registration is required. Please give us a call at 410-329-6821 or drop us a line at info@backwaterangler.com to pre-register. This entry was posted in events on February 27, 2008 by Theaux Le Gardeur. If you have been looking for new and innovative materials stop by Backwater Angler on your next fishing trip to the Gunpowder. We have a good mix of natural materials from blue pheasant to arctic fox, and plenty of flashy synthetics from Midge Cactus Chenille to UV Polar Chenille. 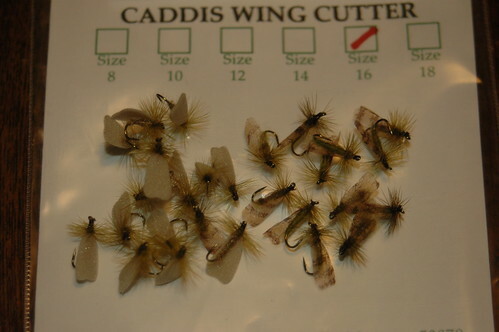 Wing cutters are available in caddis and mayfly wing styles and have been a great new addition to the tying room. Use these razor sharp cutters with the winging material or ultra thin foam in stock to make consistent wings. These caddis and mayfly wings are realistic and durable. Innovative winging materials are colorfast, ultra thin and won’t twist leaders. Anglers can even make wings at home using feathers backed with tape and the wing cutters to punch out extremely realistic mottled wings. Our Saturday tying classes have been filling fast all winter with both new and experienced tyers. Many beginner class attendees are just getting into tying while experienced tyers are choosing our pattern specific classes. Many classes incorporate the latest materials and products into local patterns. Sign up for a tying class run by our very own Gunpowder River fly fishing guides. This entry was posted in gear, reviews on February 21, 2008 by Jason du Pont. 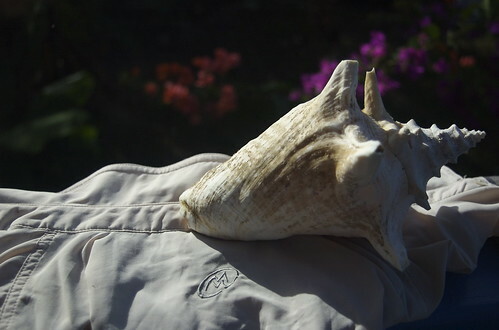 Backwater Angler has partnered with Mary K. Jenkins, aka. The Fish Lady, to bring you pre-shrunk, 100% cotton, T-Shirts now available in three styles.The long sleeved T-shirts feature a vibrant screen print high across the back, and the Backwater Angler logo printed on the right front chest. This entry was posted in news on February 15, 2008 by Theaux Le Gardeur. We still have room in two popular tying classes coming up in March. The Chesapeake Fly Patterns class taught by Capt. Jeff Lewatowski is scheduled for March1 from 11:00Am till 2:00 PM and the Gunpowder River Streamers class, scheduled for March 8, from 11:00 AM till 2:00 PM are sure to please. The cost for each class is $45 per person, and includes the use of tools and materials. The class is limited to six and pre-registration is required. Please give us a call at 410-329-6821 or drop us a line at info@backwaterangler.com to pre-register. This entry was posted in events, news on February 15, 2008 by Theaux Le Gardeur. February fishing on the Gunpowder at these low levels is not the typical winter fishing experience. 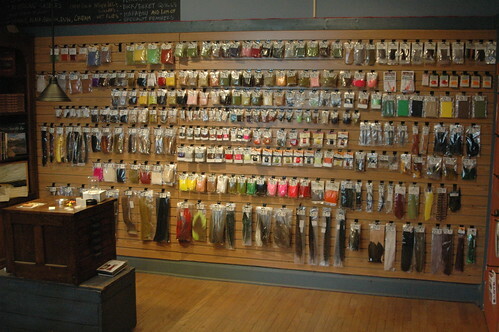 Many anglers are opting to stay home or stop by the shop for tying materials to keep them busy. Contrary to what many anglers think the fishing on the Gunpowder has shown improvement over the past few weeks. The fish have seen little pressure and have developed an appetite since the drop in flow late last Fall. This picture below is Prettyboy releasing 30 Cfs and was taken during the low flow of January 07. In 2007 Prettyboy gained enough water to spill over in early March when we got an extremely heavy rainfall sending water over the spillways and the Falls Rd gauge to 1600 Cfs. 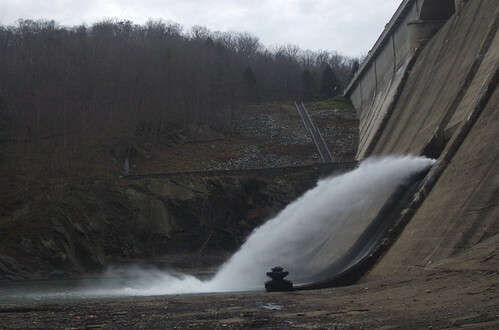 PrettyBoy is currently twelve feet below the top of the dam, which may mean no spillover or change in flow until precipitation levels change over the course of the Spring. Warm days have brought on hatches of stoneflies, gray and cream midges, throughout many miles of river. These brief hatches may not black out the sky, or bring hundreds of trout to the surface, but they do draw the finicky browns up off the bottom. Anglers are reporting rising trout during the brighter, warmer days. Whether the surface activity gets going, the trout will always take nymphs and midge pupae. As a rule for winter fishing resign yourself to nymphing and carry some dry flies in the hope the fish start hitting naturals on the surface. A good report came into the shop last week from a regular who caught a number of browns between eight and thirteen inches at Masemore Rd. He mentioned casting to rising browns with success on stoneflies when the weather broke 50 degrees. I witnessed the same scenario that day, only I was ten miles downriver, where I had stoneflies crawling up my waders and witnessed my first rises of 08. I was having success nymphing the deep holes so I never switched, but it was good to see the fish looking up. The Lower Gunpowder River has been fishing great all winter and offers ten miles of water to explore. Little Falls and a number of tributaries helped send the Glencoe gauge to 2,500 CFS during the first week of February. When the water levels drop to the 400-100 CFS the fishing has been very good. All this water is dumping food into the river, putting the fish on the feed and turning the water a nice off-color. 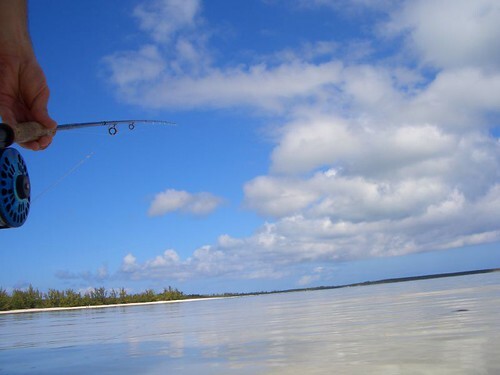 Fishing has been best two to three days after it rains, as it can be too high to wade or dirty to fish. Anglers should be aware that the Sparks-Glencoe area will close on March 9th for stocking and will not reopen until the 29th for opening day. This entry was posted in fishing report on February 15, 2008 by Jason du Pont. A Backwater Angler Gift Certificate. Print this page and leave it somewhere your better half will find it. The shop # is 410-329-6821. We CAN email gift certificates for Valentines day as late as 5:00 PM Thursday. Does Cupid have a Bamboo bow and arrow? This entry was posted in news on February 11, 2008 by Theaux Le Gardeur.